James A. Kearney is an Associate at Brennan Burtker LLC. Mr. Kearney concentrates his practice in the area of medical malpractice defense. In addition to his experience in medical practice, James has experience in the areas of physician licensure and health care disciplinary and compliance matters. James graduated from Loyola University Chicago School of Law with certificates in both Health Law and Compliance. He was a semi-finalist at the 2015-2016 Buffalo Niagara Criminal Law Mock Trial competition. He also served as a Vis Moot Fellow, competing in the Willem C. Vis International Commercial Arbitration Moot (East) in both Shanghai, China, and Hong Kong. In Shanghai, James’ team achieved first place out of twenty eight international teams. 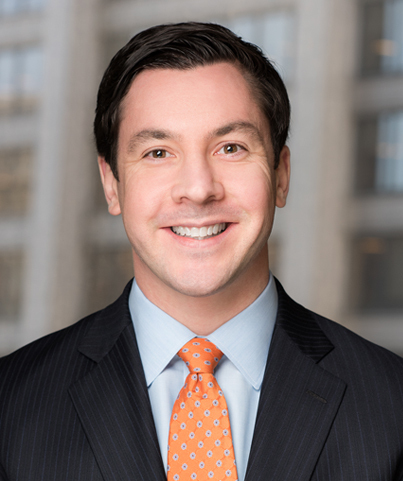 James gained valuable experience in health care prosecutions and regulations while working as a law clerk in the Illinois Department of Financial and Professional Regulation’s Medical Prosecutions Unit. Prior to law school, James worked as a police officer in Washington, D.C., where he spent the majority of his six year career working in a vice unit. James regularly conducted investigations into narcotics, illegal firearms, prostitution and illegal gambling. James received his B.A. in International Relations from Boston University in 2003.